The Union Jack design is being used everywhere around blogland lately and I've wanted to paint it but just didn't have the right piece of furniture for it. Believe it or not a good friend saw this coffee table at a garage sale & bought it. I love her! Anyway, it had been sitting in my garage for quite some time waiting patiently for it's makeover. It used to look like this. I thought I had taken a picture of the top but can't seem to find it. The top had lots of water damage so I sanded it till it was smooth. Transferred my pattern on top & painted it. This is what I wound up with. After that I used a fine grit sandpaper to knock off some paint to reveal the wood below on the base. Wiped it down to clean up all the junk that sanding causes then applied a stain/glaze over the entire table & top to make it look old & worn. I really had fun doing this one plus my parent's approve of the design. My parent's second home is England and if they approve then it's good enough for me! That's is awesome! And what a good friend you have who scouts out great finds for you. Hope you are having a great summer! We are Fran although it's going by to fast as usual! :) Hope you all are too! 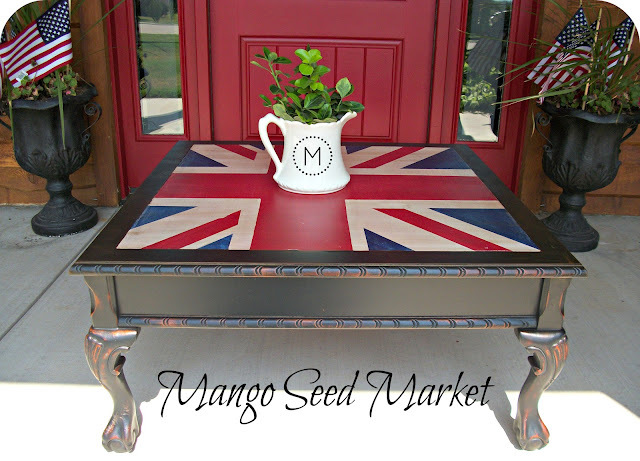 I've been wanting to paint a Union Jack piece of furniture....Thanks for the inspiration! I love this table! I have wanted something with the Union Jack on it for a long time but cant seem to find the right spot in the house for it. This is beautiful! The colors are so vibrant! That turned out GREAT Clydia! What a sweet friend you have. you did a fabulous job! it looks perfect on that table! This is beautiful! 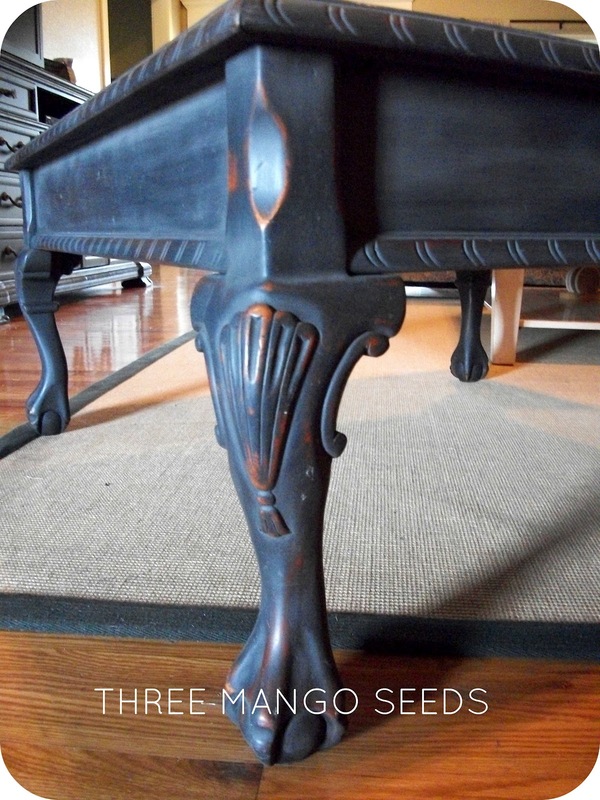 I'm now on the hunt for an old coffee table as my daughter would love this! She is moving back home to Canada from England next month. Fantastic job, I love it. What a great table! Nice job on your Jack! Thanks you all for your sweet comments! So happy you like it as much as I do! Hi, .... I L.O.V.E This! fabulous job here, you gotta know I am a crazy fool for union jack! I did my guitar union jack, haha I should post it!! What a beautiful job you did on this - I've done a couple of union jacks too - such a fun project! 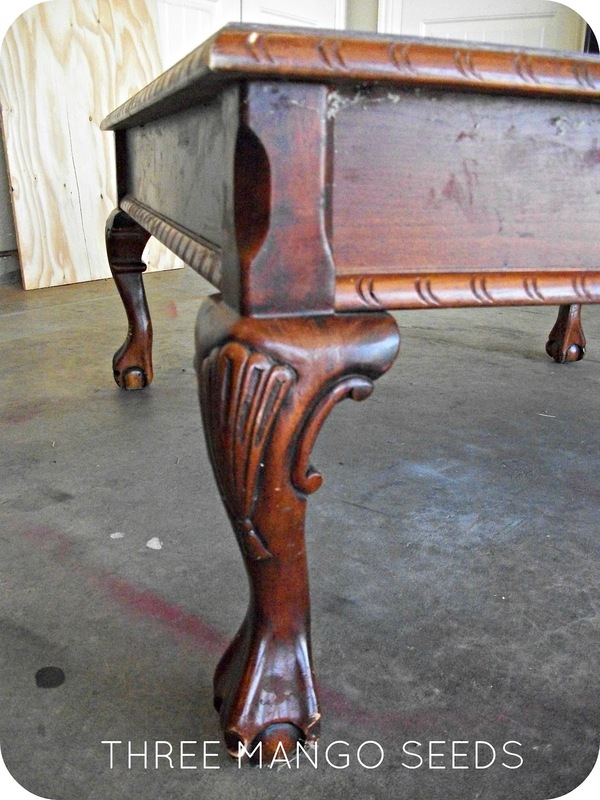 LOVE this table.... I'm from UK, so yes I approve, Ha ! I am English, and I have to say, you have done a fabulous job with your Union Jack table....I love it. Thank you so much Daphne! Perfect for this Olympic year. 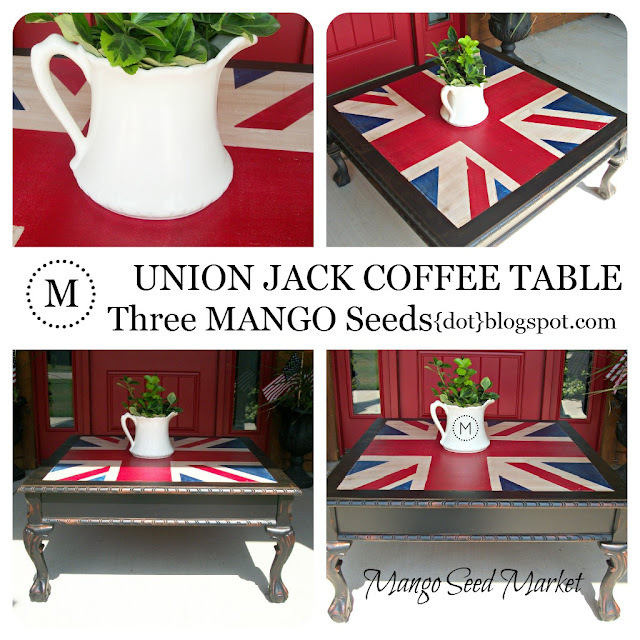 I love the idea of introducing Union Jacks into my decor but I haven't taken the plunge yet. I might just have to use your coffee table idea to get started. TFS. Wow! You did a beautiful job! I love it! Great job! It's not as easy as people think it is to lay out the lines properly (they don't really line up they way you think they should). Glad you took the time to get it right! I just finished painting the Union Jack on a table - again. My daughter loved the trunk/coffee table I did for the first project and claimed it for her room. At my age, I do not keep up with all the latest things. I never saw a table like this but you did an amazing job on it. Nicely done. I joined all your other great friends as a follower. Oh, I just love it! You did a fabulous job on it! Such a great piece!! I really like the monogrammed vase on it too! Thanks so much for coming out to the party at Clean and Scentsible. I'll be featuring this today. Enjoy your Sunday! !